A highly regarded Dorset funeral directors has opened its first new branch in over 100 years – in Blandford. 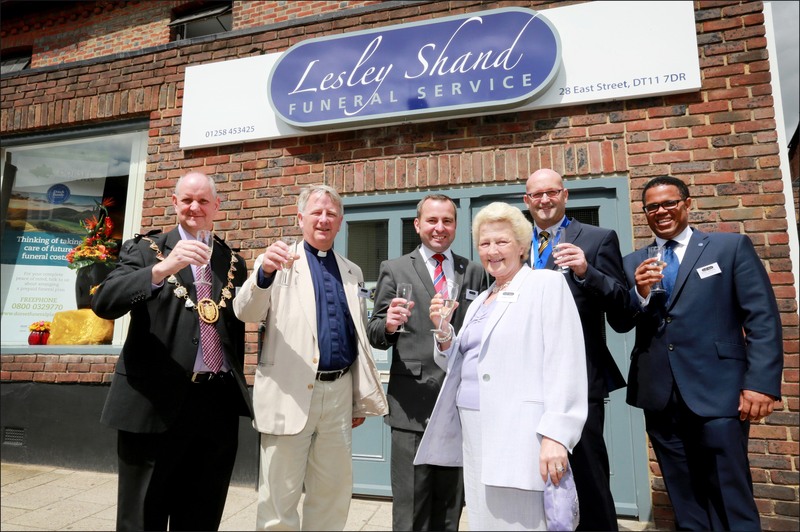 Douch Family Funeral Directors now has eight funeral homes across the County and the new Lesley Shand branch has already exceeded the company’s expectations. The East Street premises had an official opening and dedication ceremony conducted by Rev Stephen Coulter. Also present was Lesley Shand herself whose Corfe Mullen business was bought by the group at the turn of the Millennium and whose name was chosen for the new enterprise. Shane Watson, who has been with the company over 20 years, is managing the Blandford business that covers the whole of north Dorset. 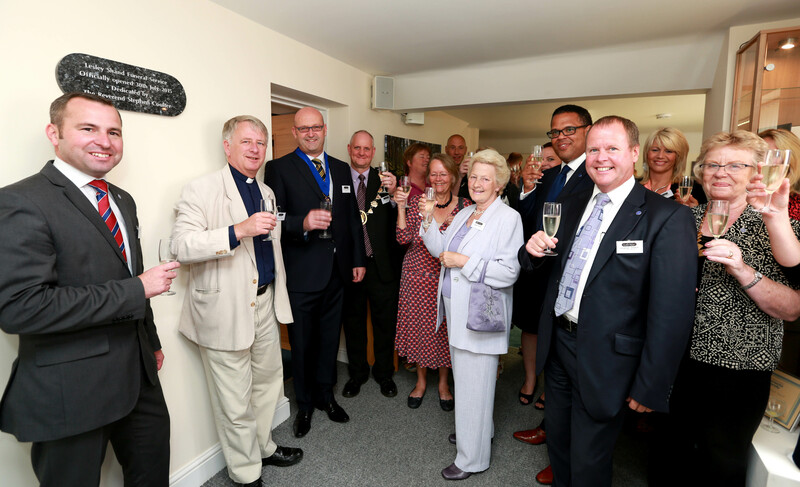 Others present at the ceremony included Blandford town Mayor Steve Hitchings and Simon Fisher, past president of the National Association of Funeral Directors. The company began as FC Douch in Wimborne in 1910 and over the years acquired other businesses, but until now has never opened a completely new one. The other branches are Douch & Small in Wimborne, AE Jolliffe & Son in Ferndown, Lesley Shand in Corfe Mullen, Ives and Shand in Parkstone, James Smith in Swanage, and Albert Marsh in Wareham and Upton. 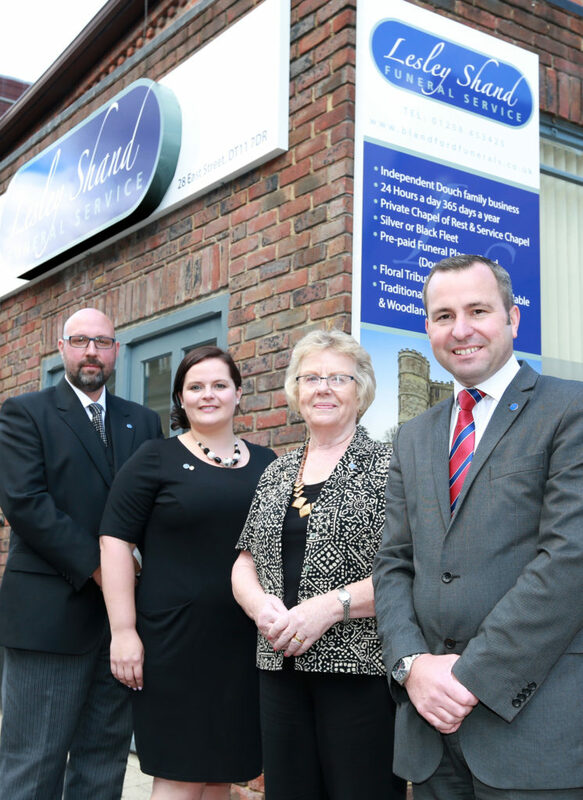 The company also runs the award-winning Dorset Funeral Plan and the expansion into north Dorset was a natural progression. Nick Douch, managing director, said: “We have been pleasantly surprised by the warm welcome we have received and have been made to feel very much at home”. 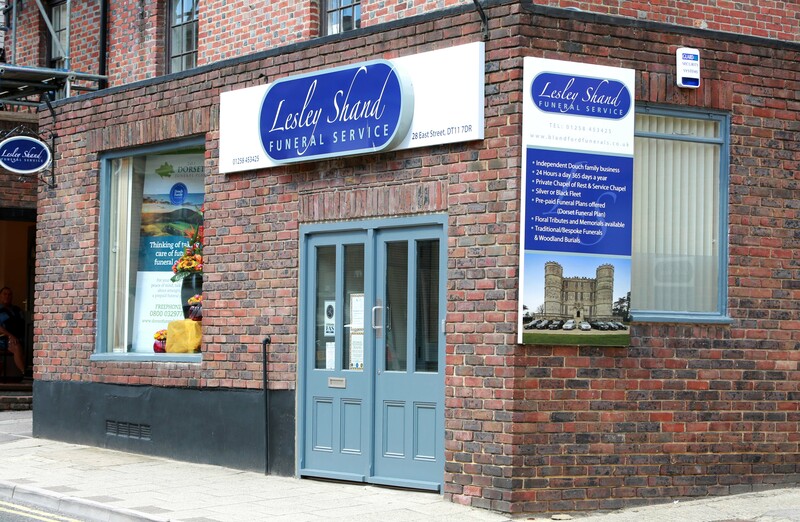 “Our Dorset Funeral Plan has been popular across the county for a number of years so people in north Dorset already know about us. “Blandford is a natural place for us to expand and we are looking forward to a long and happy association with the town. “We aim to become involved within the community and want to reach out to the villages.